As the hands of time tick on. Closer to it’s destination I am left wondering . . . is this it? What have I done with my life? I have nothing to show for it. But then I stumbled upon Gemma’s latest post about time (Find it HERE), it never being too late and the idea that there is no need to rush. I spoke to me. Soothed me. There is so much I want to do with my life. I am not ready. I am not settled. I have so much time ahead of me. In the upcoming months a few things are changing which you’ll soon be allowed to know about. Then after that it’s the next step. What that is I don’t know. I couldn’t say. But it’ll be awesome anyway. I’d love to visit Vienna. Finish writing a book. Spend more time smelling the roses and watching the sun rise. Just remember to be happy. Not to judge your life against anyone else’s and to dance like the whole world isn’t looking. No regrets. 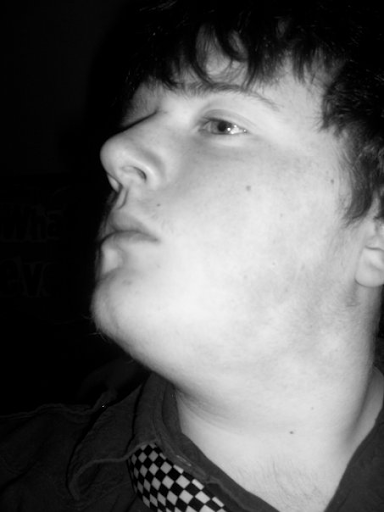 Now for a smile – Here is my first ever Facebook Profile Picture – Circa 2007. I know what you are thinking – but what was I thinking! Sometimes we all just need that reminder that it’s okay to live life the way we want to. I was debating having a piece of cake and, you know what, after reading this, I think I’m gonna have a slice of cake. Life’s too short not to be doing the things that make us happy. Have a slice for me girly. Go you! And thank you. The picture is a definite yes for me 😂 Thankyou for blessing my day with it!